The No. 9 Tufts men’s lacrosse team opens its 2018 season with a pair of away games this weekend, traveling to Clinton, N.Y. to face Hamilton at 1 p.m. on Saturday before playing SUNY Cortland the following day at noon. Tufts worked hard in the offseason, and after a successful scrimmage against Babson on Feb. 20, the team feels prepared and excited going into the season opener. Those first-years took to the Bello Field turf for the first time against Babson. With a 20–7 victory in the preseason game, Tufts feels confident heading to Hamilton. Last season, Tufts registered an impressive 18–6 win over Hamilton at Bello Field, marking the team’s 11th consecutive victory to open the 2017 campaign. The Jumbos are looking for a similar outcome on Saturday in order to take the momentum of a 1–0 start into their big game against the Cortland Red Dragons. Cortland enters the season ranked seventh in the nation, just ahead of ninth-ranked Tufts. The Jumbos have been preparing and strategizing for the game throughout the preseason in practice and in the film room. The Jumbos’ 2017 season began with an impressive 11 consecutive wins, before their streak ended with a 21–15 loss to the Amherst Mammoths. 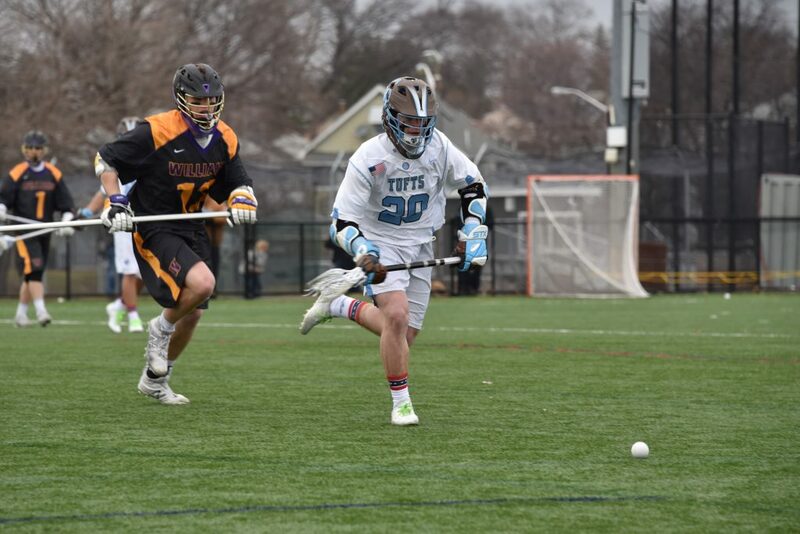 Tufts went on to lose four games in a row against NESCAC opponents to close its regular season. The Jumbos then progressed to the semifinals of the NESCAC tournament, where they lost to the Wesleyan Cardinals for the second time in less than a month. After a 26–14 blowout of Keene State kicked off its NCAA tournament, the team fell to Wesleyan for a third time, 17–8, to conclude its season. Although the Jumbos are excited for a chance at revenge on April 7, they are currently focusing on the games directly in front of them. The Jumbos graduated nine seniors last season, many of whom led the team’s offense or were major pieces on defense, but this year’s squad isn’t too concerned about filling their shoes.